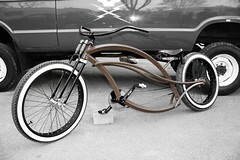 A chopper from Fire Bikes. Also see Hot Bikes. Uploaded by sdzn | more from the Bike Hugger Photostream.